Summary: China and Russia are known for the multitude of restrictions they place on the free web. To make matters even worse, these countries have taken steps to prohibit the use of certain VPNs. In fact Apple recently capitulated to requests from Beijing to remove VPN apps from their iStore. What are VPN companies saying and what can you do to bypass these restrictions? Read to find out. Get ExpressVPN today for fast and interrupted connection to any country. Chinese and Russian governments are taking further steps to restrict VPN use in their countries, making it harder for both residents and visitors to access the free web. Facing pressure from Beijing, Apple has removed some notable VPN apps, including ExpressVPN and VyprVPN, from the iOS App Store. There is speculation that China will completely ban VPNs by 2018, keeping up a strong tradition of internet censorship. The country’s famous firewall bans popular websites like Google, Facebook, Twitter Instagram, YouTube and The New York Times. Chinese officials clarified that only ‘unapproved’ VPNs are banned, but the fact that this includes two industry-leading services is disconcerting. It’s important to emphasize that the ban currently only applies to the iOS store. Chinese Windows, Mac and Android users can still purchase the VPNs mentioned above, though this will likely change in the future. If you are traveling to China, Secure Thoughts recommends purchasing a VPN in advance of your trip, in order to access restricted sites and simultaneously protect your privacy. 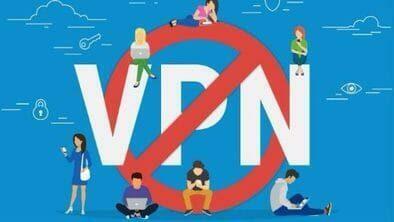 Current Chinese residents are advised to purchase a VPN during their next trip abroad. In a similar move against free web access, Russian president Vladimir Putin signed two restrictive laws in June. Effective November 1, Russian internet providers will be required to ban websites that offer VPNs and proxies to Russian residents. Another law will require chat applications to obtain users’ phone numbers. Critics of the laws say that they are being enacted as an attempt to control the online conversation and ensure that Putin is voted into another six-year term in March 2018. Leonid Levin, head of the information policy committee in the Russian lower house of parliament said the government is not trying “to impose restrictions on law-abiding citizens, to block access to ‘unlawful content.’” No matter when you are traveling to Russia, purchase a VPN before your trip. Russian residents can purchase VPNs while abroad. Next > Do You Know the NSA May Be Watching You Right Now?